The backtracking comes after Mexican authorities leaked to various news outlets that they Luis Alberto “Pelochas” Blanco Flores, one of the crime bosses fighting for control of Reynosa, Tamaulipas. 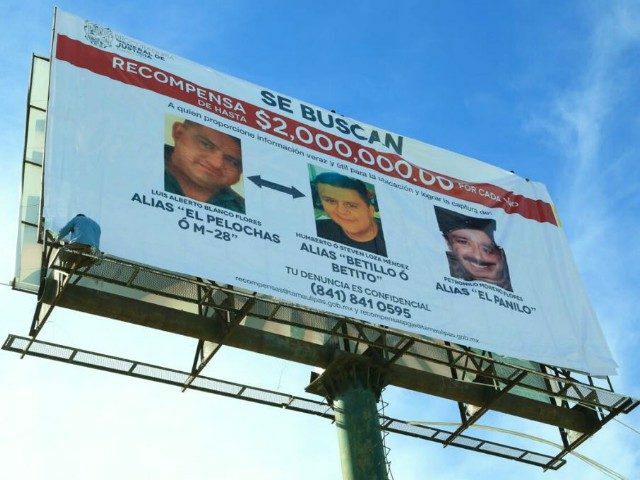 In the short video, Queretaro’s Deputy Attorney General Humberto Perez Gonzalez claimed that due to an “irresponsible communication that was not based on scientific support,” new outlets were erroneously informed that one of the most wanted men in Tamaulipas was successfully captured. After authorities in Tamaulipas raised doubts about the incarcerated individual, investigators traveled to Queretaro for a series of tests to determine the man’s identity, Perez Gonzalez said. After processing the fingerprints, authorities were able to rule out the arrest of Blanco Flores. Blanco Flores and his henchmen are largely responsible for the raging violence in the region, Breitbart Texas reported. The fighting has led to more than 400 murders including rival gunmen, law enforcement, and innocent bystanders. The Gulf Cartel has also been responsible for several clandestine incineration sites and mass graves. “A.C. De Angel” from the Cartel Chronicles project contributed to this report.